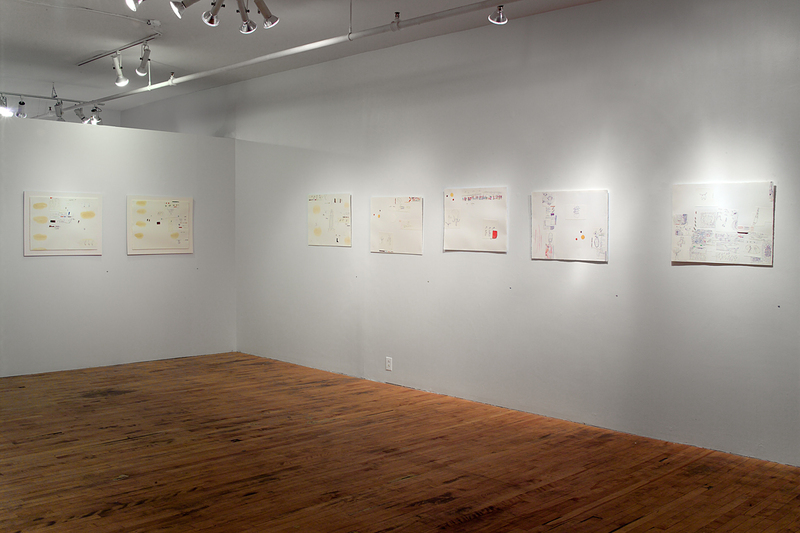 Laureate of the Fondation Monique and Robert Parizeau Prize in 2003, Elmyna Bouchard exhibited her works for the first time solo at Galerie Trois Points. In his work in engraving for which is recognized, a playful poetry emerges from the universe of spontaneous features and the candor of graphics. Moreover, in his engraving work, the handling of many plates was a necessary aspect of the creation process. 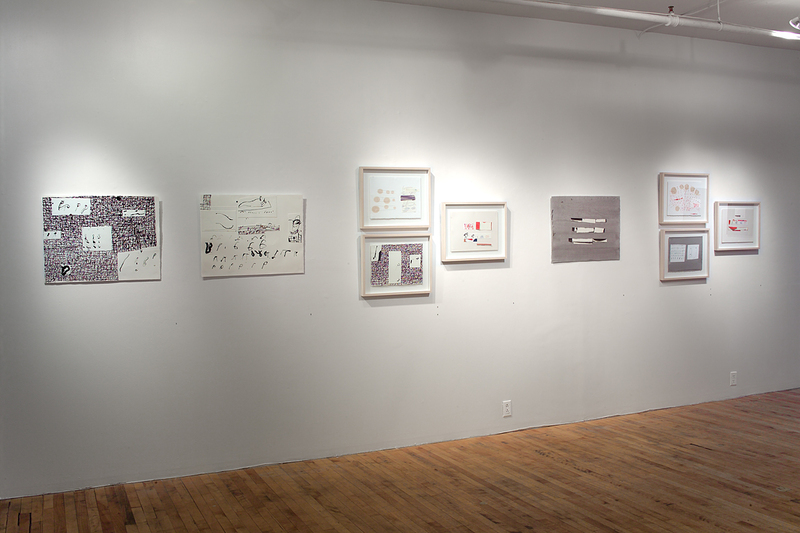 This time, the artist presents a work composed exclusively of unique pieces; drawings and collages on paper. With drawings, we find this idea of ​​manipulation and fragmentation with the collage and the juxtaposition of pieces of paper. 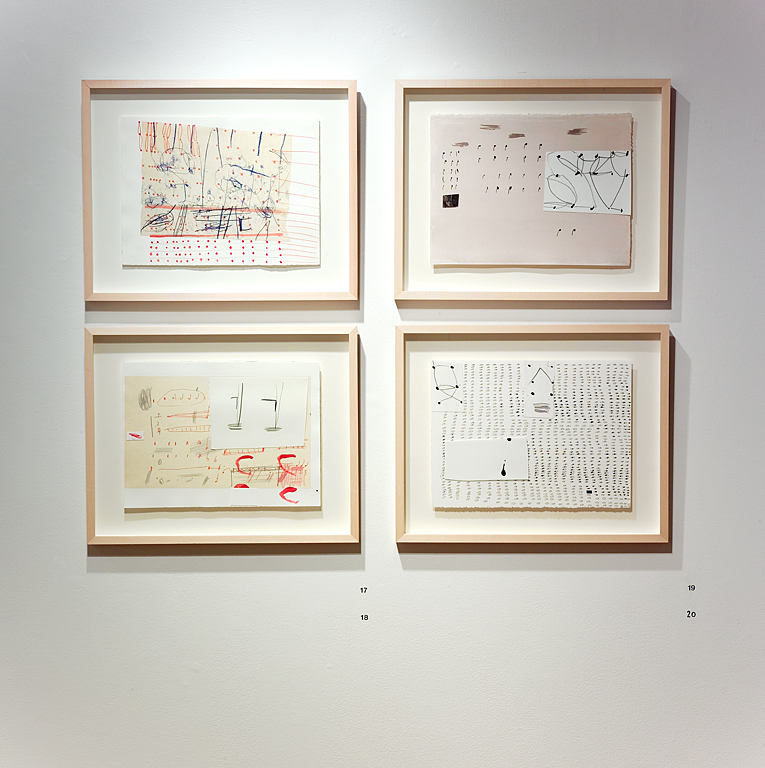 These drawings are primers that initiate a new relationship between the artist and the paper. In this presentation, the many avenues explored develop a particular attention to writing and the space it occupies. The choice of formats is in this sense conducive to the intimacy that the writing suggests. 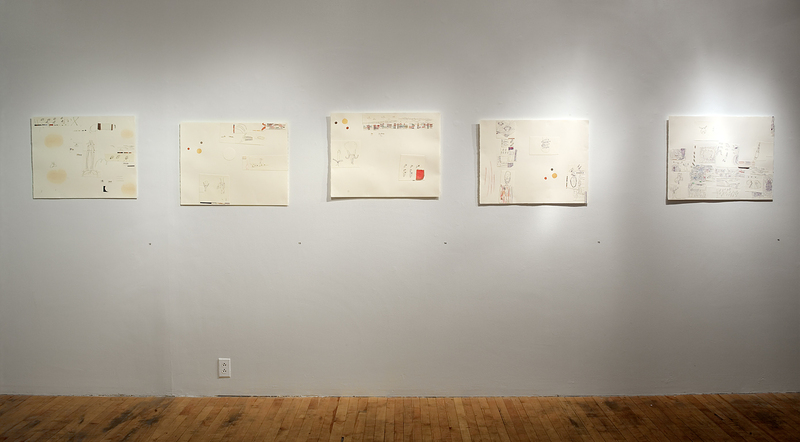 The concept of the occupied space is important for the artist because for her, it opens to the other, and invites the viewer to create his own path in the work. Elmyna Bouchard likes to move her point of view and create sometimes saturated or stripped spaces. Her language, which she wants primary and spontaneous, is naked and full at the same time, her writings sometimes complex and other times very elementary. Thus, it deals with the duality between spontaneity and organization. It tries to defuse the tendency to plan, to control and privileges rather the necessity of the act, while being aware that the instinctive search of the diagram and the self-censorship are often more dominant. The artist wishes to thank the Council of Arts and Letters for its support for this exhibition.